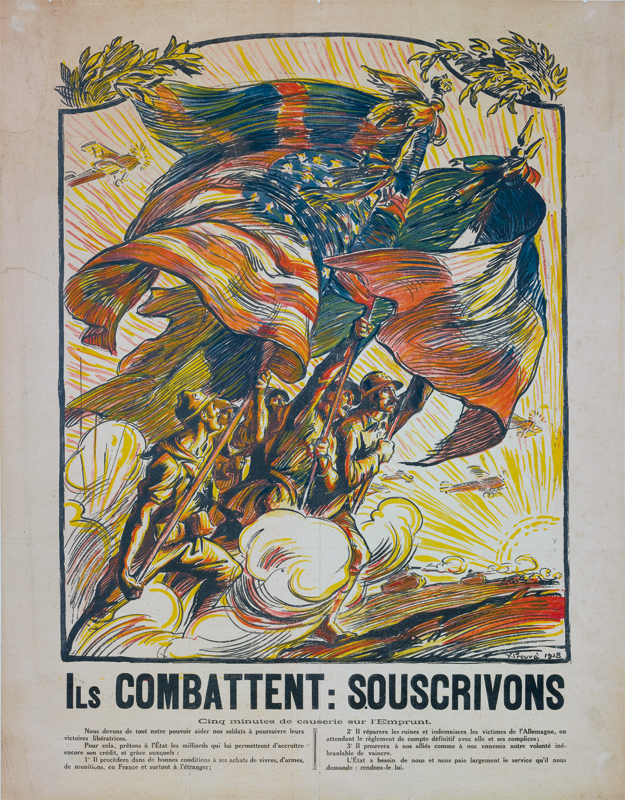 The French government announced the arrival of the Americans as the “Good News of the Year 1917”, in order to bolster French morale and mitigate the military failure of the Nivelle Offensive at the Chemins des Dames and the upcoming of the withdrawal of Russia from the war. The arrival of the “Sammies” (a nickname given to the American soldiers by the French in reference to the national personification of the American government: “Uncle Sam” = U.S.) was much anticipated by all Frenchmen. The French media also started publishing articles and photographic reportages on the United States on a continuous basis. In his memoirs, General Pershing relates his arrival in France “The voyage… had been arranged so that we would arrive in the evening, after the closing of the workshops and offices; thus, the population was able to take part in the improvised welcome. What was aimed for was that the inhabitants see with their own eyes that the Americans were really coming”. In the same spirit, the Mayor of Saint-Nazaire put up a sign indicating to the population to openly express their delight to the American soldiers who were disembarking on 25 and 26 June 1917. 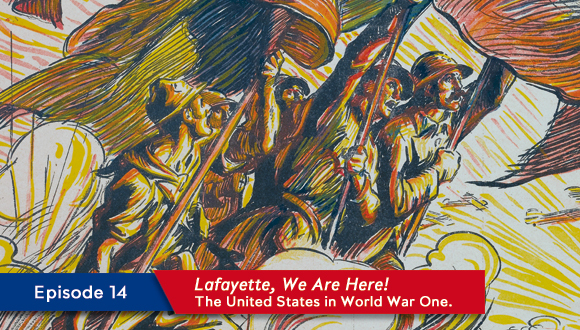 The letters sent from the front lines reflect the long-awaited arrival of the American troops and the hope for a speedy victory putting an end to a long war. 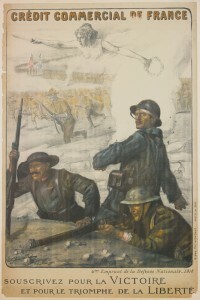 A French soldier wrote «The final blow will come from the Americans. They will soon attack and it is very likely that this major blow will put an end to the war”. Trust the Sammies and Purchase a War Loan! 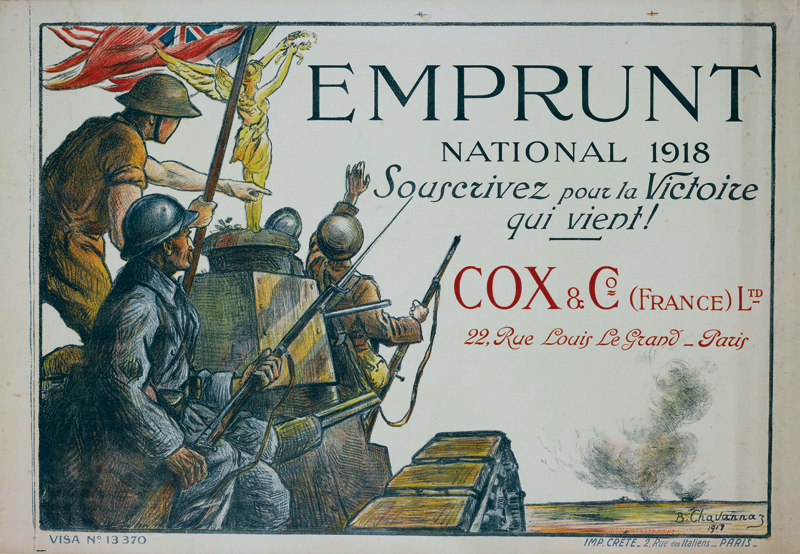 On the posters that promote the last French national war bonds issued to the public on 26 November 1917 and 20 October 1918 to support the war effort in France, it is significant to note that the image of the American soldier is used as a morale booster for the French, should they be civilians or in the military as a prospect of an end to the conflict and a way to demoralize the enemy. On many posters one can see the Star and Stripes and the “Sammy” in full uniform and wearing his characteristic hat.